Atlas Quest: A Tale of Two Trails! A Tale of Two Trails! 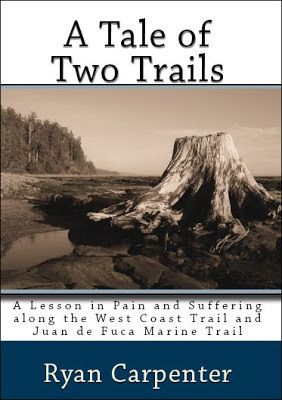 A lot of you already know about the book I wrote--A Tale of Two Trails. I actually had it published while I was off hiking a thousand miles from Le Puy-en-Velay to Santiago and therefore had a little trouble actually acquiring copies to sell on AQ. So I generally directed anyone who was interested in purchasing the book to Amazon.com. I didn't actually get to see and touch my first copy of the book until after I finished my hike! And still, I had no copies available for sale on Atlas Quest.... I put in a bulk order, though, and told them to ship it on the slow boat from China (actually, it's made in America!) to save on shipping costs. Well, this afternoon, the box of books finally arrived and I'll be selling autographed copies through the AQ Marketplace. =) Shipping is just $1 regardless of the number of copies you choose to purchase. So.... what is this book about, you ask? And if we were too anxious to wait & bought it on amazon, and now go leave a glowing review, could an autographed and stamped insert sheet arrive in our mailbox??? Have you seen the bribe . . . errrr, I mean, review? ?